Love La Crosse? 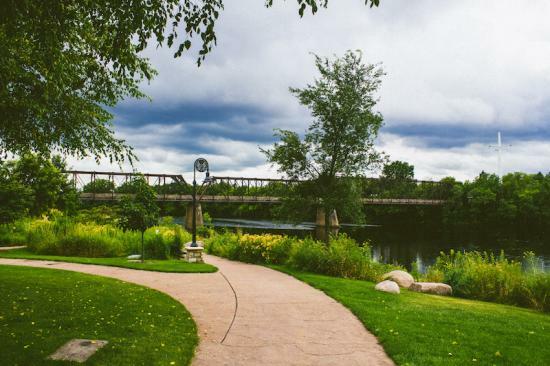 Here Are 4 Reasons You Will Love Eau Claire Too! Located a short 90 miles from Eau Claire, the city of La Crosse offers many of the same experiences of Eau Claire! Let&apos;s face it we have a lot of awesome cities Wisconsin, La Crosse and Eau Claire being two of them. So, it goes without saying there are awesome similarities between the two, but if you haven&apos;t visited both awesome locations, you may never know. That is... until now! If you’re familiar with La Crosse, here are four things you’ll love to do in Eau Claire. 1. 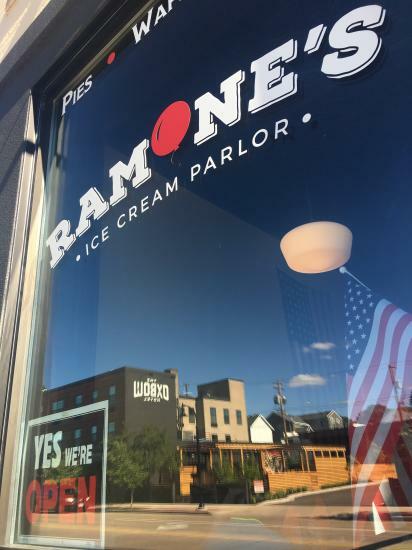 If you love The Pearl, you’ll love Ramone&apos;s! Ramone’s in Eau Claire is new but has the same old time charm as The Pearl. Both businesses have staff in bow ties and offer a large array of ice cream flavors for all ages. Both are close to parks making them great locations for a summer stroll while enjoying your special treat. 2. If you love downtown La Crosse, you’ll love downtown Eau Claire! Both locations offer quaint shops with great eateries and hotels within walking distance. Both offer affordable parking and an active nightlife. 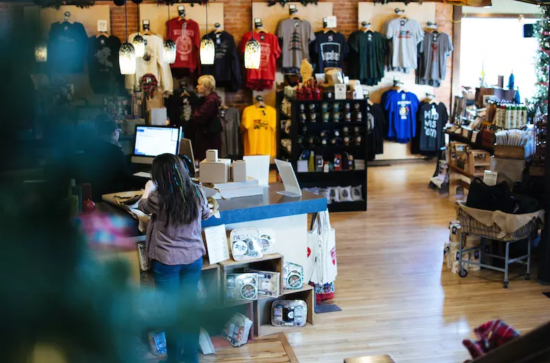 Neither of these locations are for chains and run-of-the-mill shops; both downtowns have a focus on small businesses and an eclectic experience. 3. If you love Riverside Park, you’ll love Phoenix Park! Not only are both these parks located on rivers, they are great destinations for a summer picnic, a spot to toss a Frisbee or a scenic sunset gallivant. Phoenix Park offers live music at night and the Farmer’s Market in the morning while Riverside offers the best Rotary Christmas lights display in Wisconsin. Both are excellent locations to enjoy the scenery and beautiful Wisconsin weather. 4. 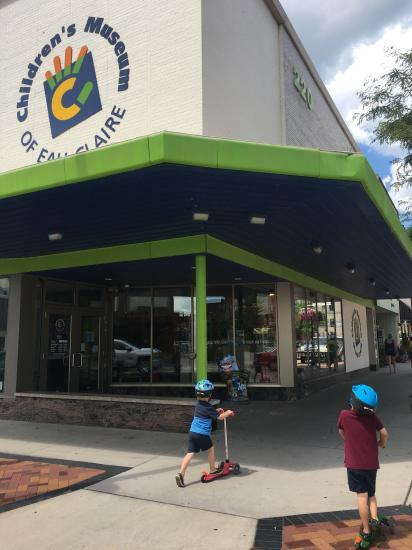 If your kids love La Crosse, they’ll love Eau Claire too! Both cities offer an excellent Children’s Museum with educational play stations and rotating exhibits. Both cities also have excellent children’s programs at their libraries. While Eau Claire offers a play space for children to pretend and imagine, the LaCrosse library give kids the opportunity to read their favorite book aboard a ship! There are loads of fun opportunities for children and parents to play and explore. 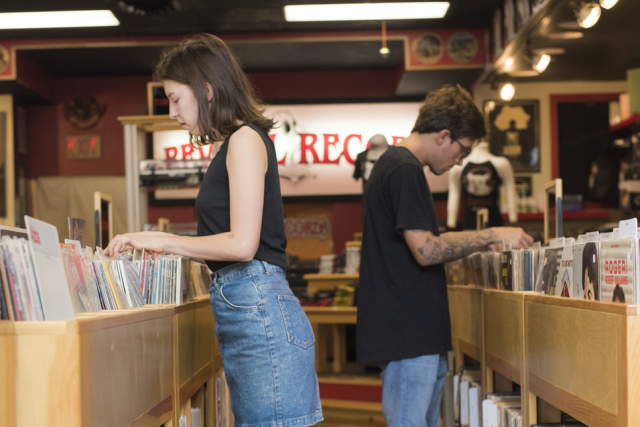 Whether you just moved here, are a student or are in town for the weekend, you’ll notice a similar vibe between La Crosse and Eau Claire that will make you feel right at home. Both are great cities for work and play and both are worth exploring.